SPC flooring is manufactured with advanced printing and texturing technology. This new flooring is the best-looking and best-performing type of vinyl flooring on the market. SPC flooring is a massive technical upgrade to WPC or wood composite core materials. The SPC Rigid floor is the next evolution in sheet vinyl flooring and provides a broad range of natural designs, from realistic wood grains to elegant stones and rustic slates. Choose the one that suits your lifestyle and home. SPC stands for Stone Polymer Composite. That is the sound of what is sure to be the death nail to WPC (wood polymer composite) flooring as well as laminate flooring. SPC Flooring (Rigid Core LVP) is an upgrade and improvement of regular Luxury Vinyl Tiles (LVT).The main contents of SPC is natural lime stone powder, Polyvinyl Chloride (PVC resin) and stabilizers which are combined in a certain ratio to provide a very stable composite material. The SPC flooring is made out of UV Coating, abrasion resistant paper, decorative paper film, SPC core board and options for EVA, XPE and CORK. SPC flooring is the new generation of floor covering. Although it is not the same as laminated flooring, it also has a floating system and uses a click-and-lock joint for easy installation of different types of floor bases. It can be installed on concrete, ceramic tiles or any other type of flooring. The SPC Flooring is 100% waterproof and ideal for kitchens, bathrooms and basements. The fire-retardant properties causes flames to go out automatically after 5 seconds and will not produce toxic or harmful gases. Say goodbye to formaldehyde, mildew and bacteria. This product has passed the test for more than 179 different types of hazardous materials and other chemicals. Different from regular vinyl floor, there is no plasticiser inside, so it is more environmentally friendly. Our SPC flooring will not curl in most temperatures or environments. SPC flooring can withstand temperature differences ranging between -75°C to 80°C. The dimensional stability is brilliant. The shrinkage is ˂ 0.002% and the curling is ˂ 0.2mm with EN434 standard. It is stronger than WPC floors and laminate and the price is right as well! Instead of using wood stone the SPC is used with a silica core resulting in a flooring material that is made from waterproof ingredients to begin with. 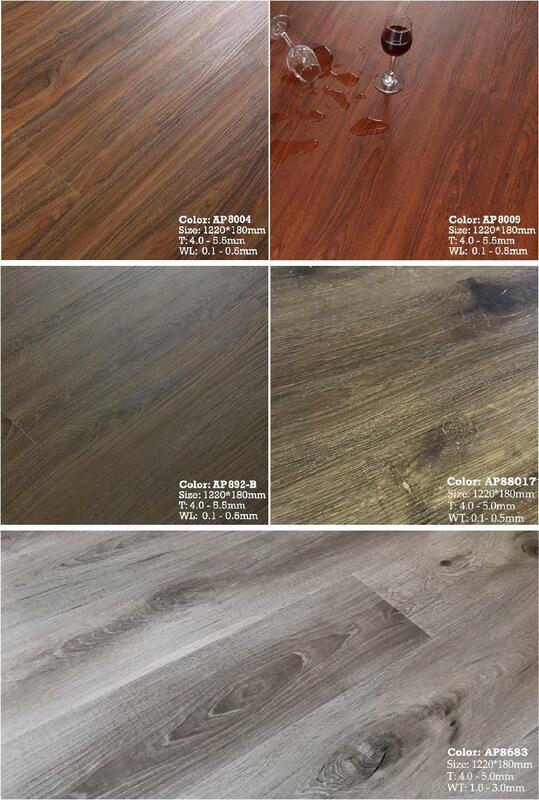 SPC has 20 times the impact resistance in comparison to base laminates and 10 times the impact resistance of WPC (wood composite core) flooring. 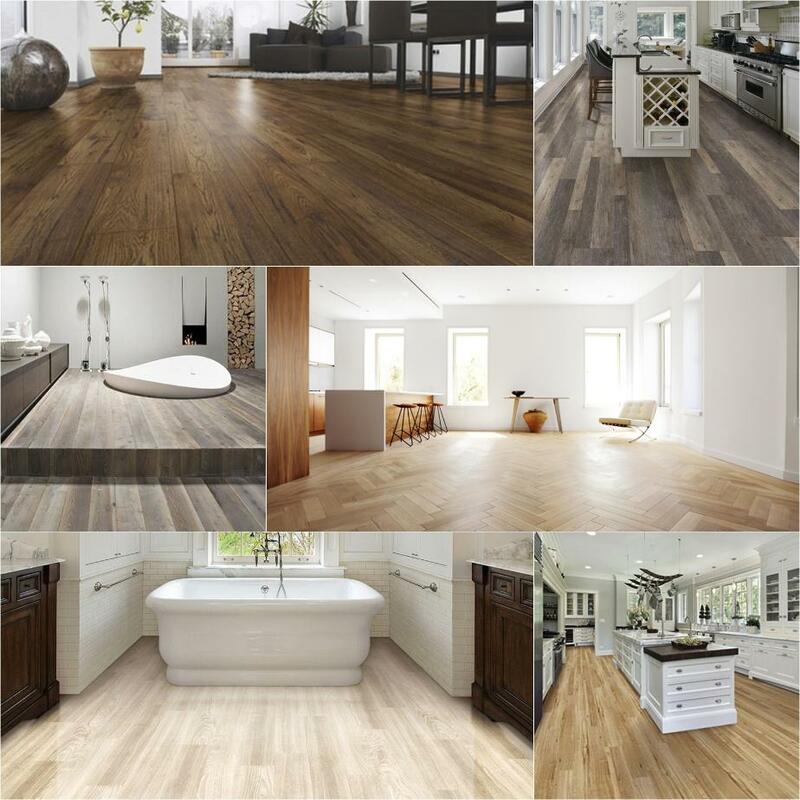 SPC flooring is stronger, more durable and more stable than regular LVT flooring. It also has an improved click-and-lock joining system. This product has superior indentation resistance (scratch and wear resistance) as well as spill and stain resistance. It has anti-abrasion properties, anti-mold or mildew properties and is slip-resistant which enables you to install it anywhere, even in combination with underfloor heating systems. It comes with five layers of protection against wear as well as XPE, EVA and CORK underlays. These underlays are are glue free, provides acoustic benefits and a comfortable underfoot. SPC flooring is safe and easy to use, silent when walked on and warmer than any other type of vinyl product on the market. SPC installation costs less than some other flooring materials and if you are going do it yourself, it makes your job much easier. These rigid wood look planks can be installed over any hard surfaces and conceal most minor sub floor imperfections. ACCLIMATION IS NOT REQUIRED! Typically the installation is about 40% faster than glue down floors which means big savings on installation and a much easier install for DIY flooring jobs. 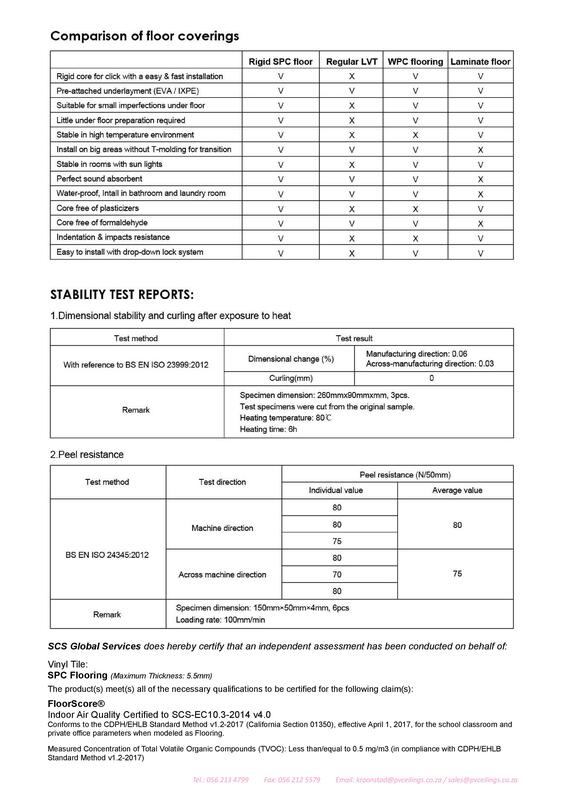 Please download our Stability Test Report for additional technical information. The colours represented here may vary from the actual SPC Flooring Product. Confirm your final colour selection in-store. Ensure that batch numbers correspond to a particular job to confirm colour consistency.